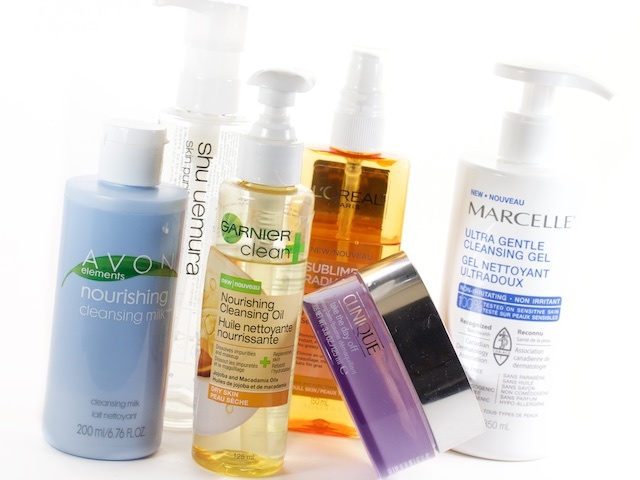 Cleansers have come a long way from what I started with back in the day (i.e., a bar of soap). When I was younger, I was perfectly content with scrubbing my fave with a Dove bar (actually, I still practice this occasionally), but I have definitely stepped up my cleansing game. I ooh and ahh over new cleansers every chance I get. This one is soap-free, this one is 100% natural, this one is an oil, this one is a foam... there really are so many to choose from. Today, I'm focusing on my current obsession: cleansing oils (and I threw in a balm, a gel, and a milk cleanser for kicks). 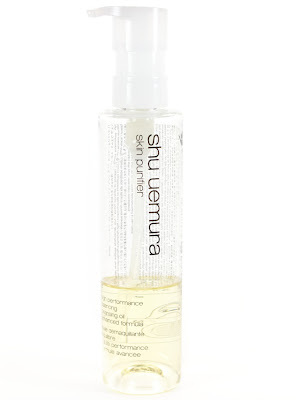 It's only fitting to start with the one who paved the way for a new clean: Shu Uemura's cleansing oils. This is the first cleansing oil I've tried and it will forever hold a special place on the top shelf. I have always loved this stuff, it's pricey but so worth it. They come in a range of different versions to target different concerns. The High Performance Balance Cleansing oil is one of my favourites (probably tied with the Ultime8 Sublime Beauty Cleansing Oil). I love that cleansing oils are applied to dry skin. It's like giving your skin a massage while getting a perfect cleanse. It removes all face and eye makeup without drying your skin. 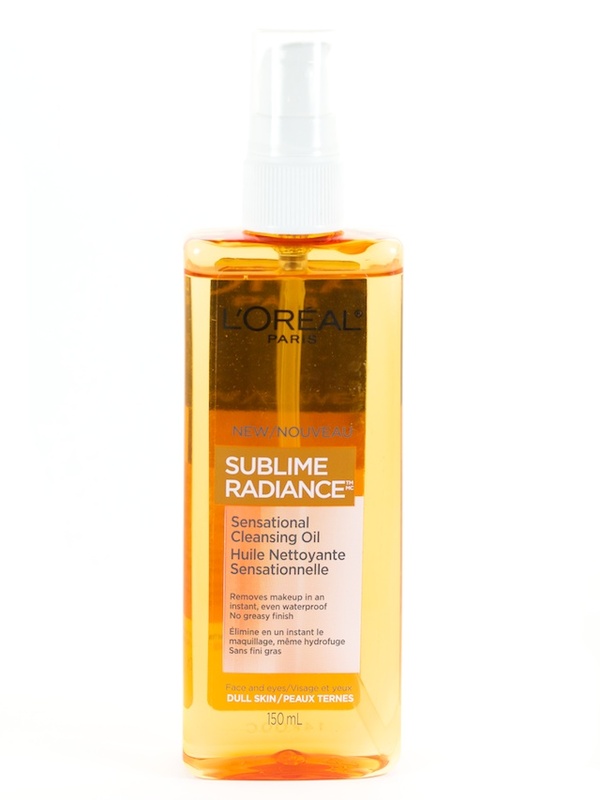 This is one of the first products that opened the door for drugstore cleansing oils. It's great for dry skin and combination skin. It takes off all my face makeup and eye makeup, although I would still recommend a separate eye makeup remover. I like it & I would buy it again. It still doesn't measure up to the high-end cleansing oils, but for the price point, it's hard to go wrong. Not a fan of the packaging. The pump is very handy but it's a bit messy. The oil seeps out a little & makes the bottle a bit slippery. 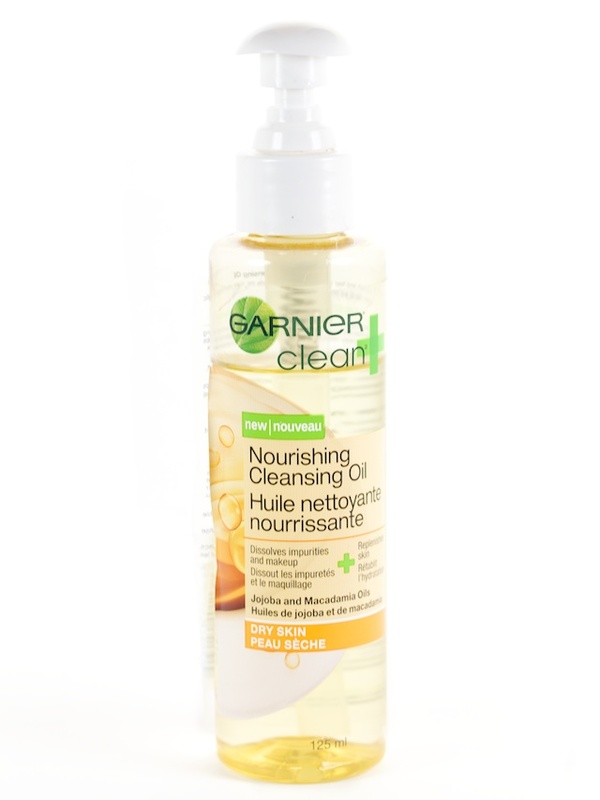 Another economical cleansing oil that removes face and eye makeup well without irritating the skin. This one works great with waterproof mascara, too. It feels great on the skin (especially if you enjoy a mini facial massage with your cleanse). Once you rinse it off, your skin feels balanced and hydrated. I love that this, like many cleansers, doesn't strip your skin from its natural oils while maintaining a non-greasy finish. 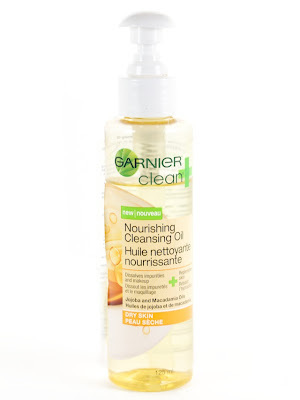 No double cleanse necessary... this one does the job in one go. 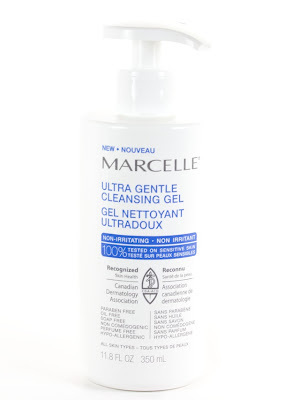 This gel cleanser will not be for everyone, but it has its benefits. For one, you can use it on dry skin using a cotton pad or massage it into wet skin and rinse with luke warm water. It doesn't foam or lather like other cleansers, but that's one of the reasons I like it (and I'm sure those with sensitive skin will like it also). It is very gentle on the skin, but it still gives you a thorough cleanse. It's oil free, fragrance free, soap free, sulfate free, and non-comedogenic—this basically means it really is good for all skin types. 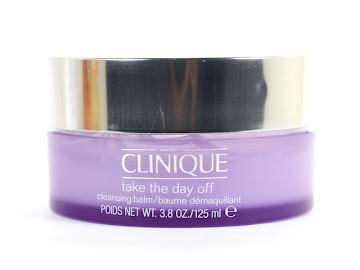 While being the first and only cleansing balm I have tried, I have to say this stuff is great. The pros? It doesn't break me out, it removes face & eye makeup very well, it travels well (much easier than an oil), it's great to use for a facial massage and it works great with all skin types. The only con, and I'm grasping at straws here, is the price. This is another oil-free alternative. This is another dry or wet cleanser. I usually prefer to wet my face but it is nice to have the option. 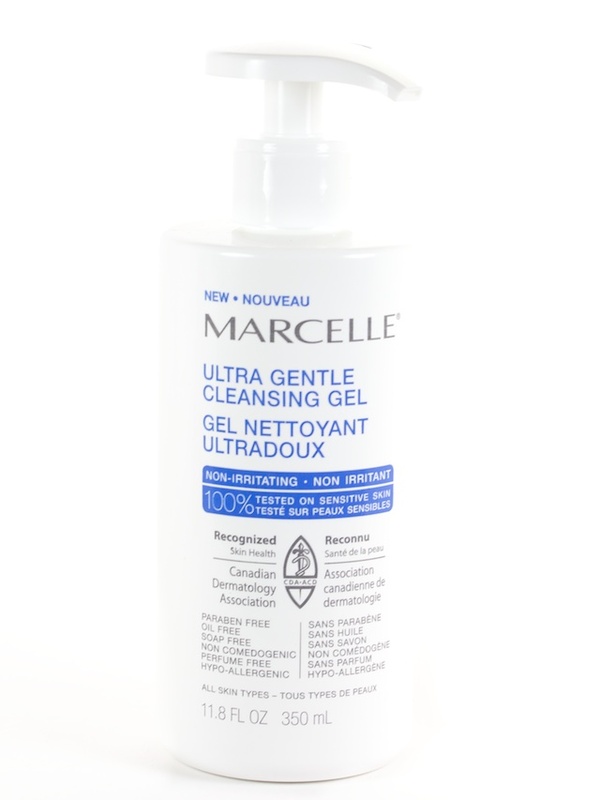 This oil-free cleansing milk works gently cleanse the skin. It's great for face makeup and even eye make up... just be careful not to get this into your eyes (or any cleanser for that matter). It feels moisturizing and luxurious on the skin. It leaves your skin feeling soft, hydrated, and fresh. I also like using this with my Clarisonic for those days where I really want to feel like I'm getting a deeper clean. Ps, two post from me in one week? It has been a while since that has happened!